I know I am not the only Star Wars fan out there who has long thought they need to learn to sword fight. Sure you can take normal fencing or Kendo, but let’s face it neither of those are the same as fighting with lightsabers. 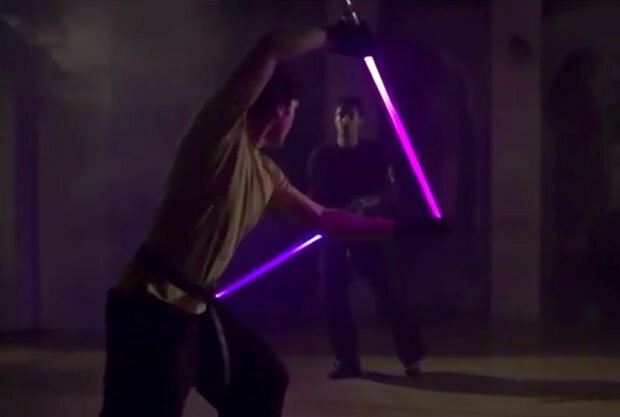 If you live in San Francisco you can now learn actual lightsaber fighting. LudoSport’s Lightsaber Academy teaches you to fight in preparation for local, national, and international competitions. Before you go thinking that lightsaber combat just consists of wildly flailing about, the sport has seven forms of combat to master, and ten rules for you to follow. Participants earn points for attending classes and meeting up with fellow participants for duels with the results placed online after the battle. Classes in San Francisco kicked off over the weekend at the Studiomix on Van Ness.